Mid 1800s, Northern Elm, Shanxi. These window panels were made to withstand extreme outside elements. The frame is very thick, with raised moldings. it is inset with openwork geometric design carvings in the center section for the wind to pass through easily. 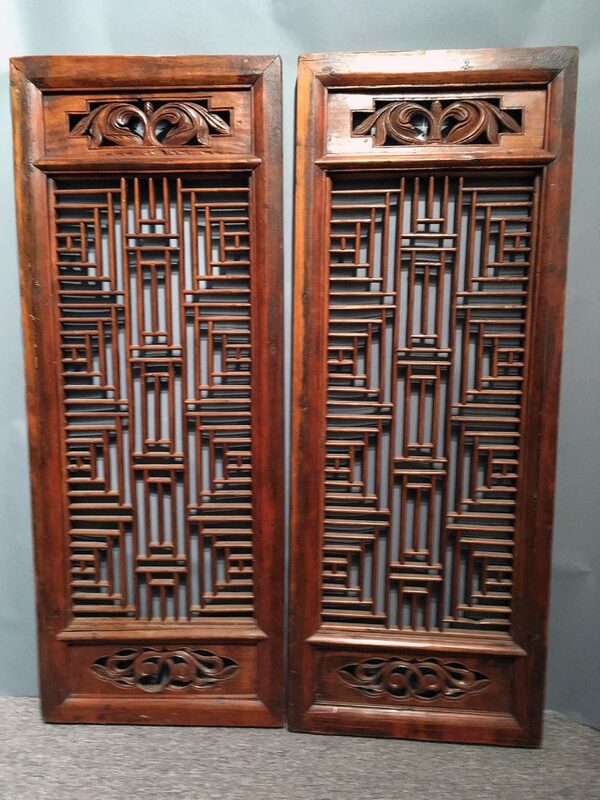 The narrow top and bottom sections have deeply carved scrolling floral designs that add interest to the panel. They were original painted with thick dark lacquer over natural reddish color wood but most of the lacquer has faded with traces of the dark lacquer remaining on the surface looking like crackled leather.